It’s been around for decades, and you can now play it on your Android or iOS device, albeit with more than a few twists. 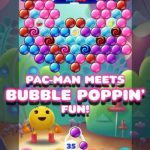 Bandai Namco’s Pac-Man 256 offers a new take on the iconic, classic video game, and the developer says the game is “perfectly reinvented” for your cell phone or tablet. You can now collect up to more than 15 power-ups that can help you against the villainous ghosts, and also help you stay ahead of the main super villain. 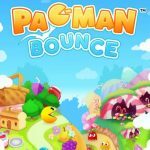 Yes, it’s Pac-Man alright, though we have to say we agree with Bandai Namco – it is indeed reinvented for a new generation of mobile-centric gamers. 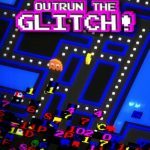 Anyone who is just starting out or doesn’t play too much Pac-Man (or remember its mechanics) should check out the first part of our Pac-Man 256 cheats and strategy guide – even if you’re an expert, a lot, if not all of these tips may be worth checking out. In Pac-Man 256, you’ve got two different kinds of currency. Coins are the currency you should be using if you want to upgrade your power-ups. Upgrading power-ups makes them last longer and gives you more points. You can earn coins naturally by playing the game, and you can also gather more by watching ad videos or completing in-game quests or objectives. Credits, on the other hand, are what you should spend before beginning a round if you want to use power-ups in the upcoming run. All power-ups allowed in a playthrough will cost you a credit, regardless of how many power-ups you utilize. You will also spend credits if you get killed, though the limit is one usage per run. In other words, if you’ve got three credits, you won’t be able to use all three of them in a single run. As an aside, you can also use credits, assuming you used one during a run, in order to bring you closer to unlocking power-ups. Just like in the classic Pac-Man games, your score will be determined by the amount of food that you eat. This isn’t like Crossy Road or other similar “endless” titles where you perform better if you’re able to move or travel farther. Once again, all you need to do here is eat, eat, eat – distance doesn’t matter in this game, so you can also explore the maze in greater depth. You have the option to play this game in landscape or portrait mode, but it’s Landscape mode that you really want to focus on. Playing in Portrait mode will still allow you to play the game, but you wouldn’t see everything in the map. But when in Landscape, you’ll be able to plan your moves more carefully. As the maze becomes thinner in appearance, you’ll need all the help you can get, and your best tool here would be to play the game in landscape, not portrait mode. As we told you above, Pac-Man 256 is an endless game, even if it’s got some truly classic routes. And while your first instinct would be to keep on moving, you really do not have to do that. In fact, you can stand still and pause for a few moments, as the ghosts hover around ; you can have Pac-Man stop for a few moments at the nearest wall and let the ghosts pass by before going to the next stage. 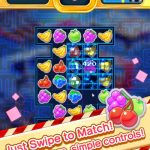 Pac-Man 256 is a freemium title, which means you can purchase stuff from the game’s in-app store. So what can you buy right now? We would recommend the Coin Doubler, which, as the name suggests, doubles the amount of coins that you’ve got on you. You can buy this for $4.99, which is a rather costly amount to spend on a power-up, though the next one we’ll share to you is a bit more on the premium side. Likewise, for $7.99, you can buy yourself unlimited credits via the Pac-Shop, get a temporary boost in credit, or watch ad videos. Sometimes, watching ads would give you two free credits, so don’t mind it if the ads don’t look or feel relevant. The game has a wealth of different multipliers, starting with ghosts, which would give you ten points for each ghost you eat in power pellet mode. Each ghost you eat on one pellet will increase their value by ten points. Pellets are worth a point apiece, and when you chain 16 of them together, you’ll get a bonus of 16 points. Chaining 32 together gives you a 32-point bonus, and so on until you reach 256. Once that happens, all ghosts will be destroyed and you’ll get a fat 256-point bonus right before the chain resets automatically. The fruit multiplier is a bit trickier. This multiplier will cover everything you do while the fruit remains active. Once you eat some fruit, the icon and multiplier will show up below your score, and when they’re both gone, that means that’s it for your current fruit multiplier. Cherry is worth a multiplier of two, apple worth three, strawberry worth four, orange worth five, and green melon worth six. So if you eat a green melon, with its respective multiplier active as a result, you’ll get six times the usual number of points when you eat anything else; for example, pellets will score you six points, while ghosts will earn you 60. Lastly, take note that eating another fruit while your current fruit multiplier is still active will make the new fruit/multiplier replace the old one. The use of power pellets is a fundamental part of Pac-Man as a whole, and for this game, that also applies to power-ups. You should make it a point to use these two very wisely; even if you know you’ll see more power-ups as you progress along, it’s best to save what you currently have for those occasions when you really need them. When eating one of these power pellets or power-ups, the entire board will be converted into white cubes. Eating more of these cubes extends the effective duration of your power-ups, though it won’t be by much. And once your power’s finally out, all white cubes will revert back to normal.